We want this. 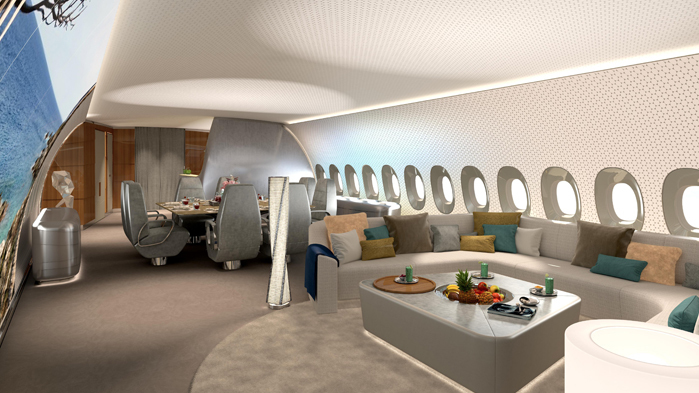 But with a price tag of about $366 million for a new A350 and then the costs to outfit the cabin we probably are going to have to pass, but we can dream. 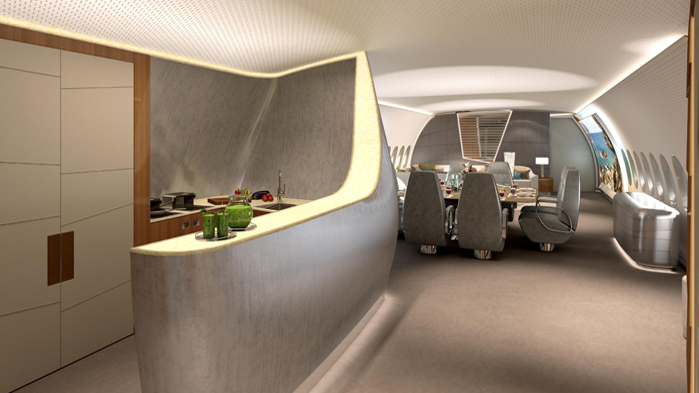 We love this concept by Lufthansa Technik to build the ultimate private jet. Seriously this is a drool-worthy aircraft. The concept here is to offer a layout which is responsive to VIP’s requirements. Need to work? No problem. Want to keep your kids happy? Got that. Looking for some restful sleep? Try this bed? It seems as if they have laid out a very smart, albeit expensive design. This is a seriously cool design for a seriously great aircraft. This A350 is rated to fly 12,600 nautical miles non-stop. That’s London to Sydney so if you want to have dinner in New York and breakfast in Hong Kong, that’s not going to be a problem. 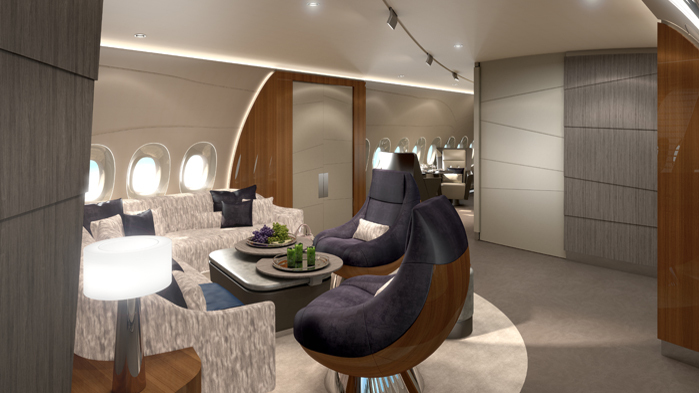 According to Lufthansa the first design priority for this private jet was to create flexible areas that can be opened and combined for better social interaction and closed for full privacy if so desired. 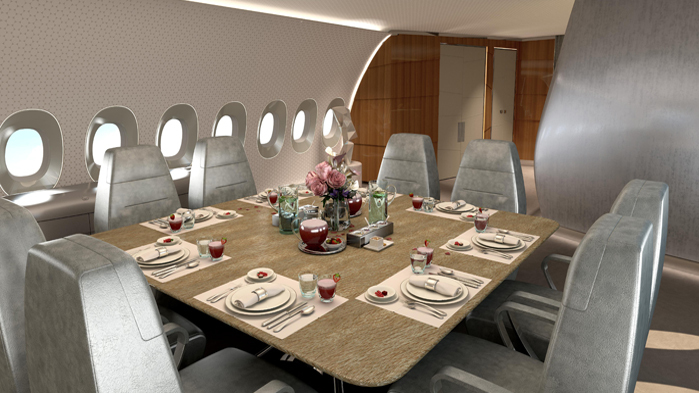 Located in the front part of the aircraft, the “Family Flex Area” facilitates a large and airy private space. 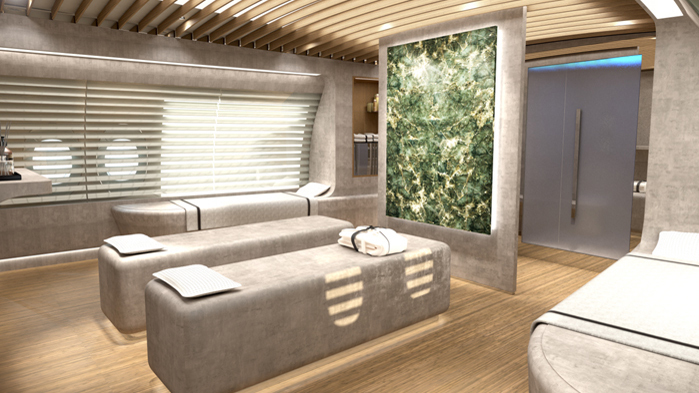 An exclusive feature is the large spa area which is equipped with a relaxing steam bath, a massage shower, and a massage table that may also double as a passenger transport unit if so required. Taking into account the often extremely tense life styles of VIP customers, the “Welcome home” concept has been consequently optimized to offer a perfect ambience for recreation and relaxation during travel times. The concept is flexible and allows the adaptation to other widebody aircraft, too. The whole cabin comprises about 270 square meters (about 2,900 sq ft). 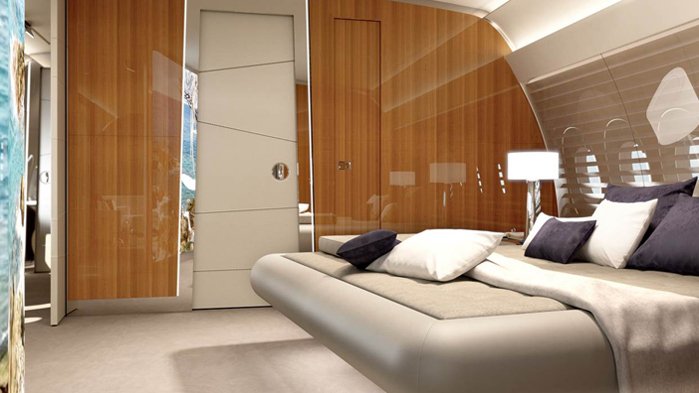 We have seen a lot of private jet concepts but this one is maybe the nicest yet. 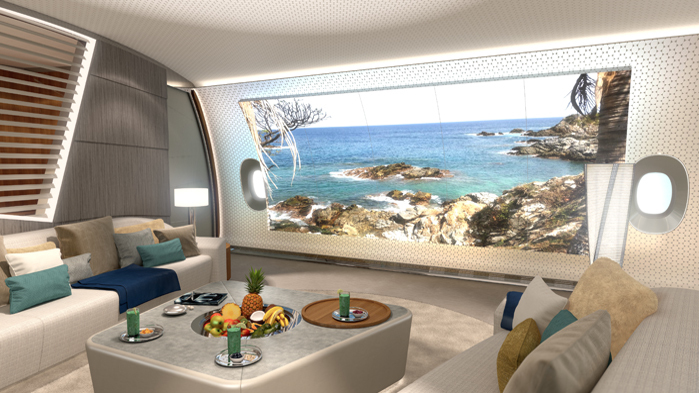 It also represents the future of private air travel… big, competent planes outfitted to a very luxurious level which are capable of taking customers anywhere, anytime. We like that idea. Unfortunately we don’t have a few hundred million dollars laying around so we’ll have to keep dreaming.